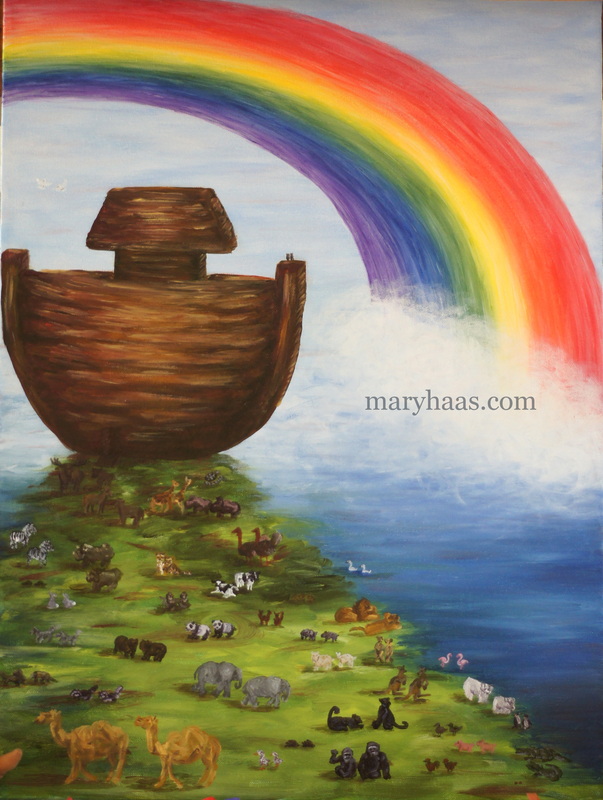 I painted this for a Noah’s Ark themed nursery that my future niece or nephew will be living in. It’s acrylic on canvas, 16 x 20. Unfortunately the picture of this is pretty bad…the colors at the bottom are rainbow colored confetti from the Noah’s Ark themed baby shower. I was having too much fun to take the time to get a good picture. Mary , you are SO talented! This is wonderful!